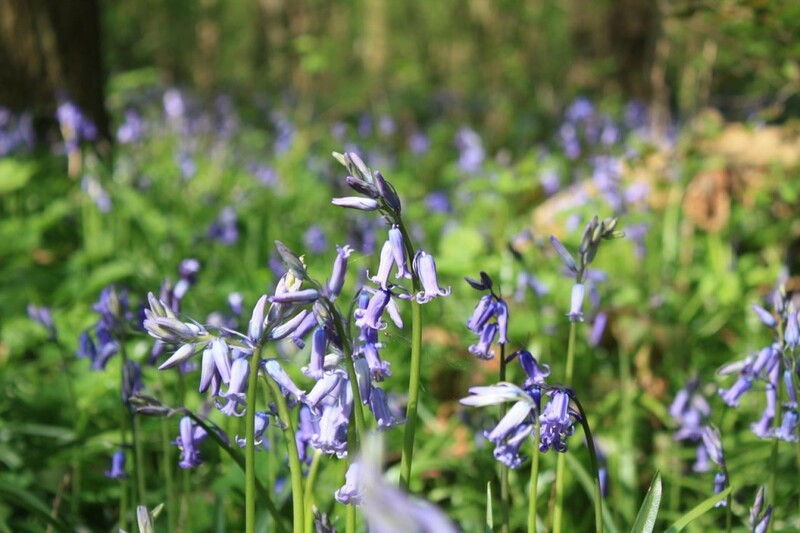 Enjoy a leisurely walk through ancient Oxleas Woodlands on the bank holiday Sunday May 3rd. The walk is led by staff of the Woodlands Farm Trust and starts at the historic Severndroog Castle on Shooters Hill and end at Woodlands Farm. 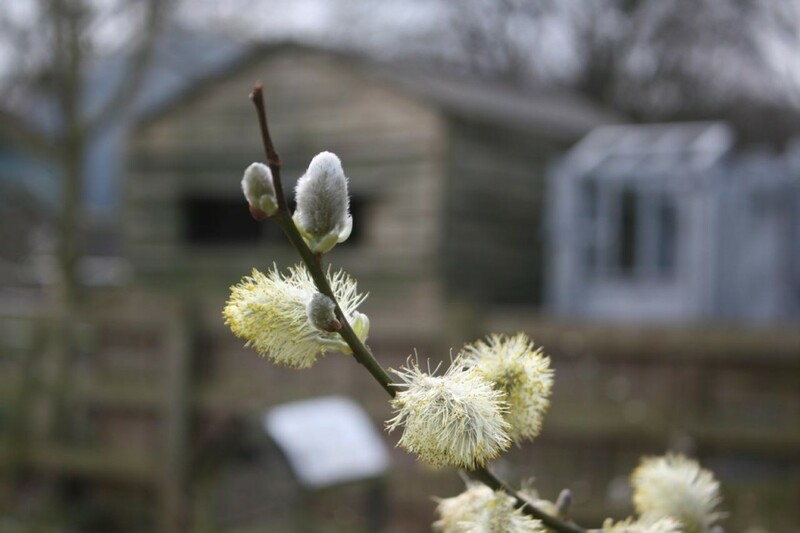 Barry Gray, Chair of the Woodlands Farm Trust said ‘Oxleas Woodlands are a riot of new growth at present, with bluebells, wood anenomes, wood violets and many other plants coming into flower. Perfect for a walk describing some of the interesting ecology, history and uses of Oxleas over the years’. 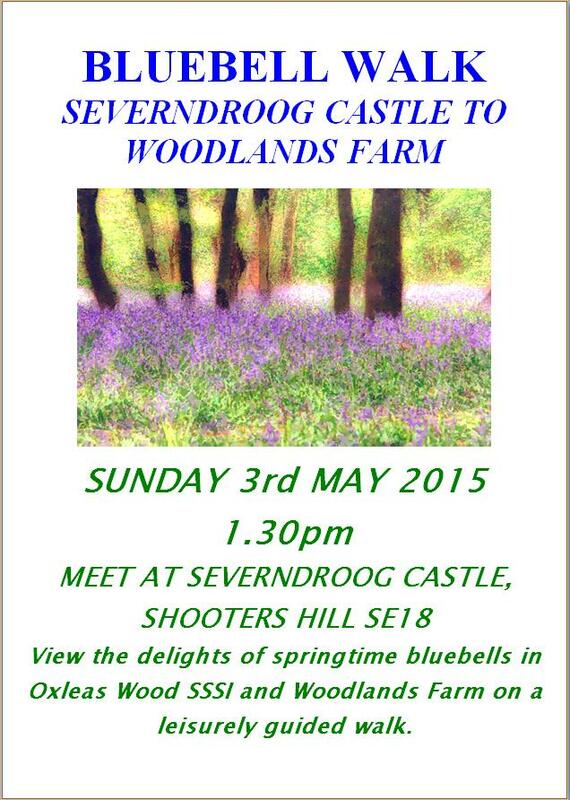 The walk starts at Severndroog Castle at 1.30pm and ends at Woodlands Farm, and should take between 1 ½ – 2 hours. Why not get to Severndroog early for a guided visit and a coffee or brunch in the café. The café at Woodlands Farm will be open for further refreshments at the end of the walk. The last time this walk took place we saw not only bluebells but many other wild flowers, including Stitchwort, Ladies Smock, Wood Sorrel, Wild Garlic and Wood Anemones. We learned about and saw plants that are rarely seen outside ancient woodland, such as the Wild Service Tree and Butchers Broom – species that would be threatened if a road was ever built through the woods. 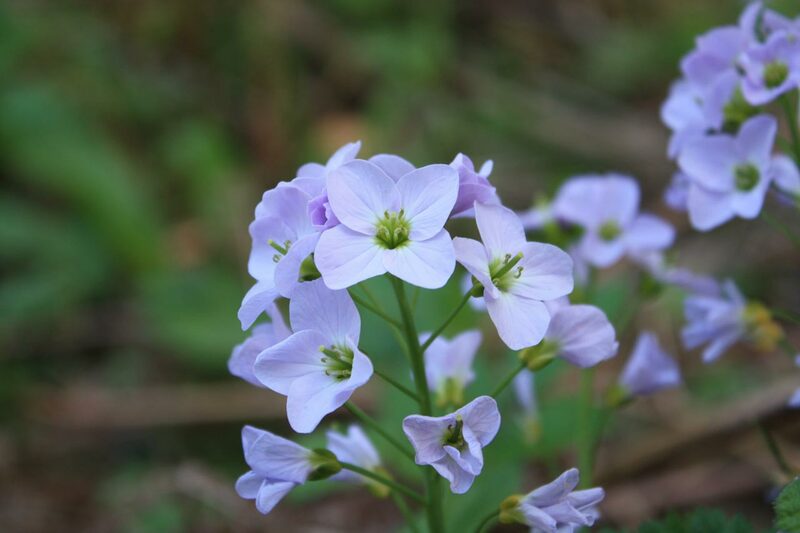 You can see photographs of the plants and wild flowers of Oxleas Woods in a Flickr album here. We also walked by the historic cants of coppiced Hazels and Chestnuts deep in the wood and heard about their place in medieval life. 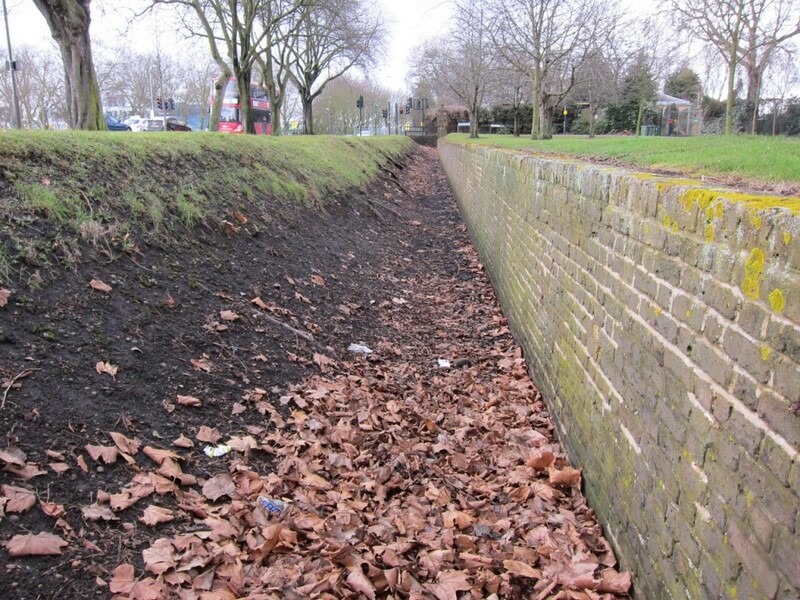 If you are interested in nature or in local history there is a walk for you on Sunday. 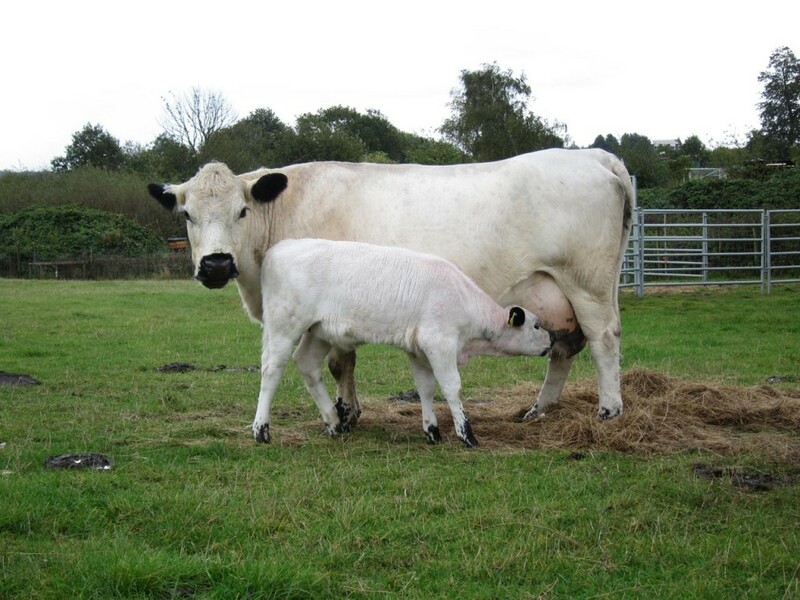 Woodlands Farm are hosting the last of their series of guided walks at 10.00am, and the Shooters Hill Local History Group have a circular walk round Woolwich Common starting at 11.00am. Spring has firmly arrived at Woodlands Farm with lots of blossom and fields full of lambs. 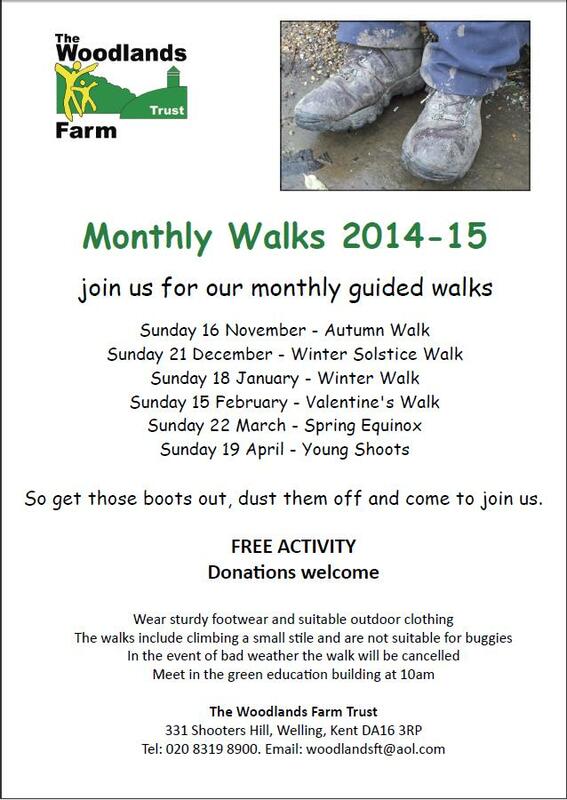 Join us for a guided walk round the farm to find out more about this wonderful time of the farming season. The walk starts at 10am, meeting in the green building. Sturdy footwear and suitable outdoor clothing is required, the walk does include climbing a stile, so is not suitable for young children or buggies. The walk is free, but donations are welcome. Steve sent details of the Local History Group walk. It starts at the former Shooters Hill Police Station on the corner of Shooters Hill and Well Hall Road at 11.00am and is expected to take about one and a half hours at a leisurely pace. It will include: the historical background to the Herbert and Brook Hospitals; the Greenwich Free School site; the Queen Elizabeth Hospital; the former Woolwich Stadium site; the Ha Ha; the historical use of Woolwich Common; former site of General Gordon’s home; former Royal Military Academy. Steve says there will be some good photo opportunities along the way. Sounds like a pair of very interesting walks, Let’s hope the good weather holds out till Sunday. Lambing Day this year at Woodlands Farm is on Sunday 12th April, the culmination of a busy time at the farm. 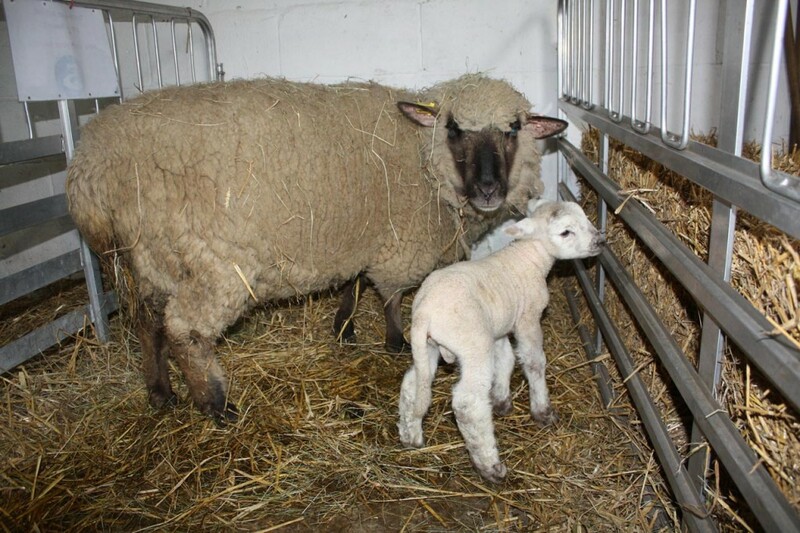 The first lamb of 2015 was born on 23rd March and since then about a third of the 50 ewes have given birth, aided where necessary by the farm’s lambing-trained volunteers. 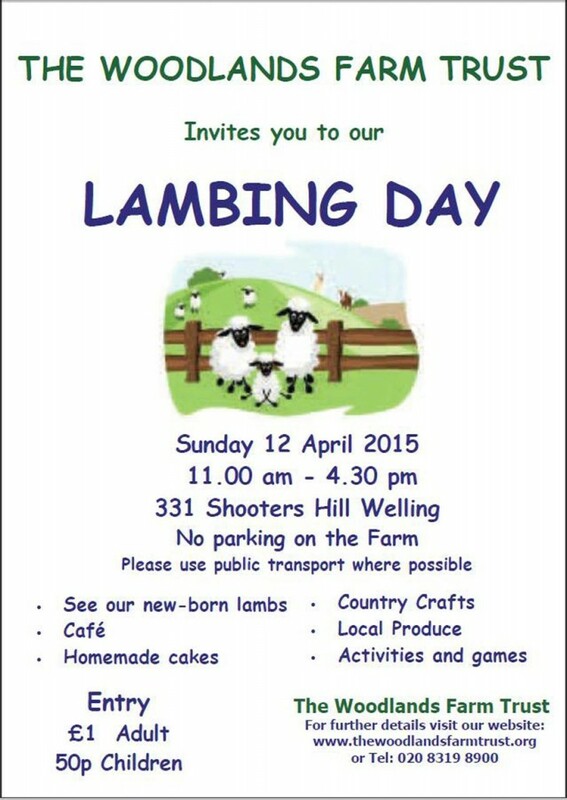 All are welcome at the Woodlands Farm Trust Lambing Day on Sunday 12 April 2015, from 11am-4.30pm. Come and see our new-born lambs, and enjoy the chance to buy quality local produce at reasonable prices, including home-made preserves, cakes and honey. Relax in our café, enjoy the treasure hunt or get involved in craft activities. Entry is £1 for adults and 50p for children, all proceeds from entry charges and our stalls go towards keeping Woodlands Farm here as a conservation project and valuable resource for the community. A great family day out! Considering the farm’s events are also all organised by volunteers their annual cycle of shows is very impressive, and all of them enjoyable.